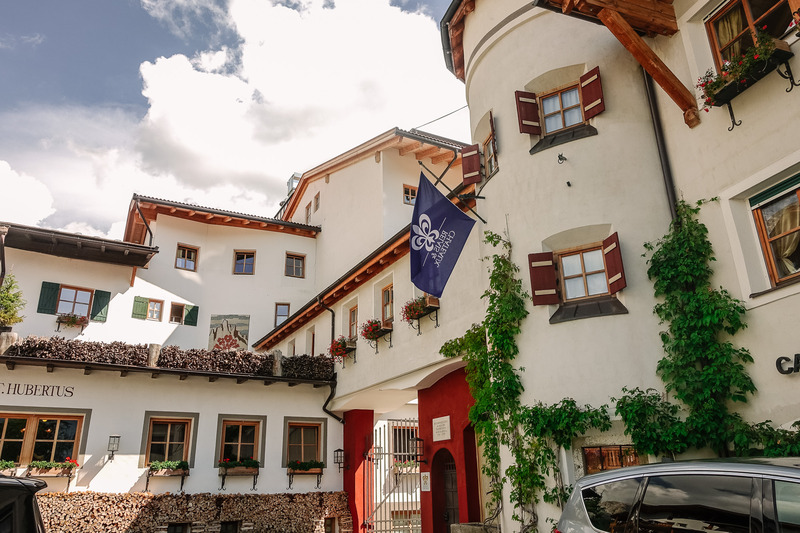 [SAN CASSIANO IN ALTA BADIA, ITALY] — When I checked into the luxury boutique hotel Rosa Alpina, a man was standing there off to the side, bouncing a baby in his right arm, baby projecting out like a cat. “Oh Hi, we’ve been waiting for you. I’d shake your hand… but the baby…” and reached out his left hand. And so it started like that. 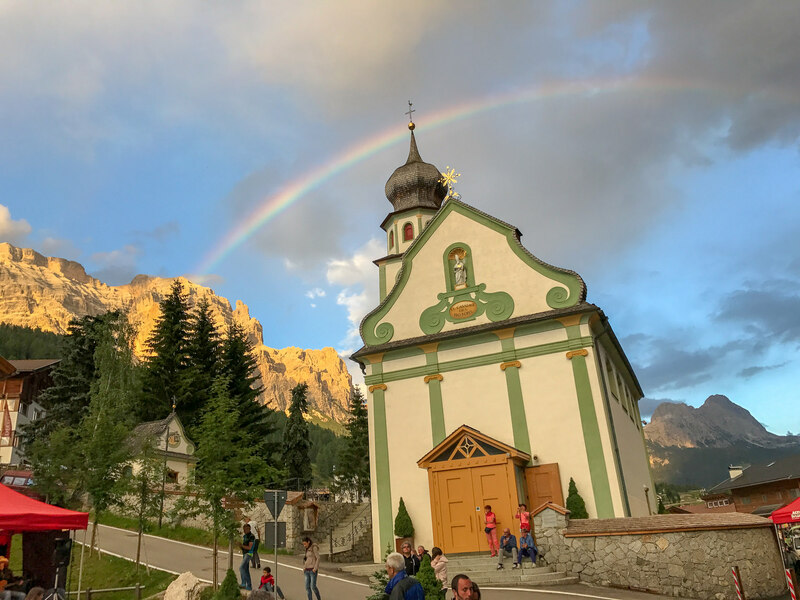 It had been almost two years to the week since I was last in San Cassiano in Val Badia, the Ladin-speaking lush valleys that make up the heart of the Süd Tirol area of the Italian Dolomites. An area where everything is listed in three languages. Ladin — an ancient language that goes back to Roman times, spoken only in these formally inaccessible valleys — German and Italian. 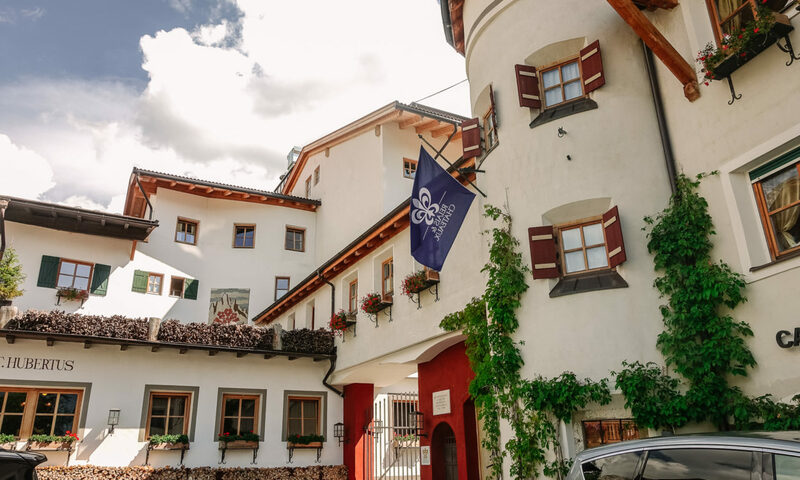 I’m back here because of one of the most remarkable hotel experiences I’ve ever had, here, at the incomparable Hotel Rosa Alpina, one of the highest rated members of Leading Hotels of the World. The rooms are very nice and cozy, certainly. It’s not just the Michelin three star restaurant. It’s not just the perfect village in the Dolomites. It is the people and the style of service — super friendly, always helpful and truly caring — that make this place different. All lead by Signore Hugo Pizzinini, whose family has been running this place with charm since between the Wars. I don’t typically like 5 star hotels, too stuffy, too still, too ridiculously priced. But this was such a casual place you feel like part of the family. Or at least, staying at a friend’s country house. I’ve never felt such a strong presence of an owner in a hotel, 24/7. Hugo, with any number of kids in arms, always with a smile and a map ready to tell you where to hike. Out front, kibitzing with neighbors or the local Carabinieri; always chatting with people like they were family. No matter where you are in the hotel, he’s already there. Dawn to dusk. Running expo at the kitchen, sneaking you a special glass from a wine dinner, or dropping you off at a trailhead while running an errand. Everyone in the hospitality business should send their people here for a week to see how it’s done. Looking for info about a hike, I asked the front desk if Hugo was around. “He’s here. Always. Just stand in one place and he’ll be by soon.” And not just Hugo, it’s everyone. From the front desk staff to the lovely Antonella – a Germanic Audrey Hepburn if there ever was one – equally present everywhere every shift at every restaurant, remembering your drink pref or whipping out a table setting like a magician. I don’t know if they have 20 rooms, 30 or 50. To me it felt like they just had 1. Mine. 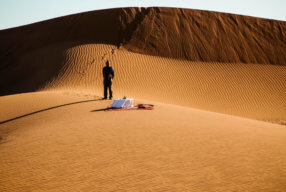 There was a very famous diva singer at the hotel, Bette Midler, often sitting at the very next table with her handler, but you’d never know it because everyone else got the rockstar treatment. She was just like us. Wednesday nights are Festa Nights in San Cassiano in the summer. People come from kilometers away, tasting great foods from local restaurants, local craft beers (doesn’t everywhere have local craft beers nowadays?) and watching Ladin craftsman hone wood objects like they’ve done for centuries. (Cutting boards are big sellers.) And, perhaps appropriately, a country music band. Nothing like a little Hank Williams to make your strudel even more fun. Plus, you can waltz to it. You should have seen it. A girl in a cowboy hat introducing each song in Italian, old couples and waiters all beebopping all happy up and down the street. 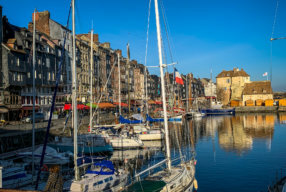 It was a little surreal, sitting outside on the terrace of the restaurant at Rosa Alpina, enjoying the most stupendous and delightfully spicy loops of perfectly al dente paccheri pasta, with chunky hunks of lobster, olives and ripe tomatoes with  “Jambalaya and a crawfish pie and filé gumbo…”  playing in the square. People in leather lederhosen shorts and checked shirts square-stepping it out in the piazza. A local teenager (going thru his awkward period) walked by with his Bernese Mountain Dog puppy, mouthing the words to himself…  “Goodbye Joe me gotta go me oh my oh…”  And then, along came a rainbow, with golden sunset mountains looming over the whole situation. I can die now. My life is complete. About as good as it gets. 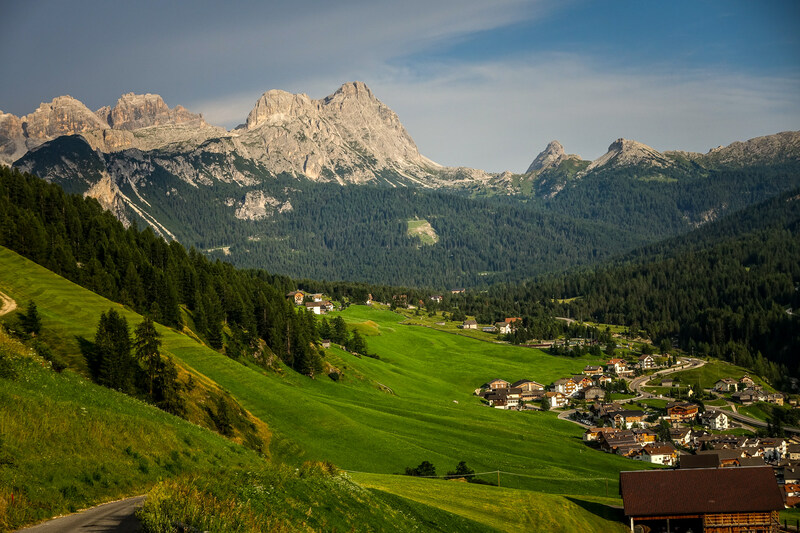 San Cassiano sits high on the shoulders of Alta Badia valley, surrounded by lush green cow fields and iridescent granite mountains. San Cassiano/St. Kassian/San Ćiascian in ‪#‎SudTyrol‬ or ‪#‎AltoAdige‬ or ‎Dolomiti‬. Like everything in this region of ‪‎Italy‬ it has three names. But a gorgeous little ‪‎village‬ ringed by steep cliffs and a great base to ‎explore‬ the endless ‪‎valleys‬ of the ‪Dolomites‬. 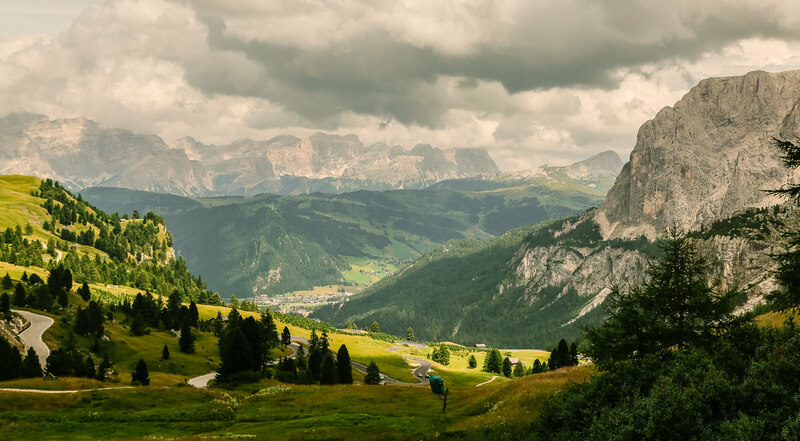 San Cassiano sits on a high ridge in Alta Badia, an area chock-full of ski resorts, all interconnected, that make this area one of the top ski destinations in the world. And San Cassiano is considered one of the ritziest towns in the Dolomites. Still, the place is small, only about half mile in length, with one made road and a few feeder streets that disappear as they finger up into the green mountain slopes. Summer is considered off season and quiet. And the prices are the lowest, so it’s perfect time to come. All around town, the mountains look. Catching the sun longer than the town itself, reflecting a warm glow that makes the place even more magical. There’s one main pedestrian street that weaves through town, lined with shops and a few, but not many, restaurants. Small chalets and apartment buildings line the street and feather up the hill. The town itself is actually not that big. But the views are. Right in the center of town…and directly in front of the hotel’s restaurant terrace, is the picture-perfect church. You can see these old familes going back hundreds of years. With dour black and white portraits on some crosses. All day long, the mountains wink with the sun, the shiny granite faces reflecting gold over the whole town. This hotel is so prestigious, Audi actually sponsor it to provide a fleet of cars to take guests around. Gorgeous hallways connect the different buildings as the hotel as grown. The second time I was there in the summer of 2017, they had just expanded the spa. This was one of my favorite parts of the hotel, a small bridge connecting the new part of the hotel. It is loaded with old pictures of the hotels, the Pizzinini family and San Cassiano, going back to pre-war days. It always too me forever to get back to the room because I always stopped to view the old pics. You can see how much things have changed. And how much they haven’t. The rooms are dramatic simplicity, the perfect understated luxury you want for a hiking vacation in the mountains. Alpine in design, but with fine luxurious finishes that make you realize why they have a five star rating. Waxed smooth pine. Wool carpets. Merino blankets and loden pillows. I sprung both times for a Junior Suite which was perfect size, with a large balcony looking out over a wall of pine trees. It’s a member of both Tablet Hotels and Relais & Chateaux, which to me a one-two punch of validation when I booked this. 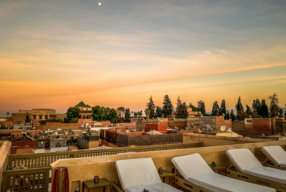 And the staff at Tablet personally recommended it, above all other hotels in the region. Even the dichotomy reviews of Trip Advisor agrees that the service in this place is over the top. Here’s a great article in Forbes, outlining just about everything I’ve said. Even down to the magical hike in the Fanes plateau I posted here. This hotel is very famous. I can see why. Everyone in the hospitality business should send their people here for a week to see how it’s done. When I was there the first time, I think St. Hubertus had one Michelin star. Two years later, they had their second. And I just read they one their third Michelin star in the winter of 2018. Then we walked over to a standup table in the corner, two champagne glasses and chilled bottle of Prosecco were waiting for us. “But here, taste this…. amazing. This is why it is rated three stars.” (They had just received their third star last winter.) We had a few more incredible bites, with dramatic presentation, one after the other. Hugo introducing me to all the chefs like I was a cousin. And them, in a wisp like we came, we popped back through the Magic Door and into the buzzy warm light of the hotel lobby, like a Time Machine. “Okay, see you. I must go work expo in the other restaurant.” And off he went through another set of doors. 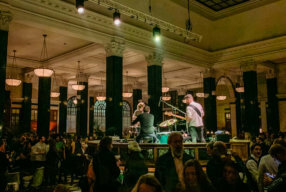 And then, in a wisp like we came, we popped back through the Magic Door and into the buzzy warm light of the hotel lobby, like a Time Machine. That my friends, is how hospitality is done. On tonight’s menu: hand-chopped steak tartare with black summer truffles. A bright orange sun of a mountain egg yolk perched on top. Followed by a delightful Pollo Arosto, a small pastured bird, stuffed with rosemary branches and other aromatics, then roasted on a metal spike in a super hot oven, its savory juices dripping down over a pan of fresh vegetables below. 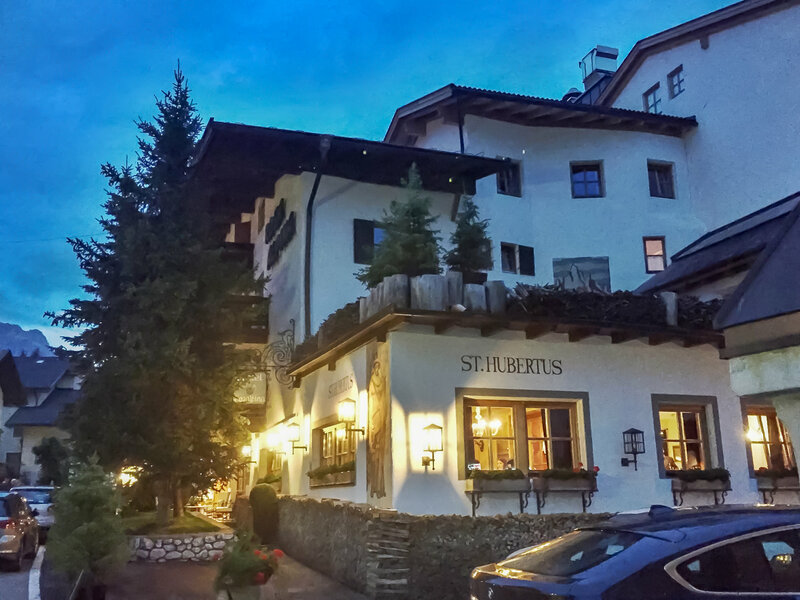 The St. Hubertus restaurant is nestled right under the arms of the rest of the hotel. Hugo Pizzinini. The Master of the House and an amazing human. Taking me on a tour of the kitchen of his three start Michelin restaurant St. Hubertus. He’s Cornell Hotel School-trained and speaks I don’t know how many languages…. I wish I could rememebr the name of these tasty bits. The names were as clever as the mind blowing food. Like I think this one was a tartare. There’s a more casual bistro at the front of the hotel for everyday dining. With a fantastic terrace facing the busy walking street. The amazing lobster pasta, my stomach just gurgled. They have a woodfired oven, so you can get just about everything. And you’ll want to get pizza everyday. This is view down from Passo Gardeno, overlooking the Val Badia, Colfosco, Corvara and the other towns and mountain ranges. Just stunning at sunset. 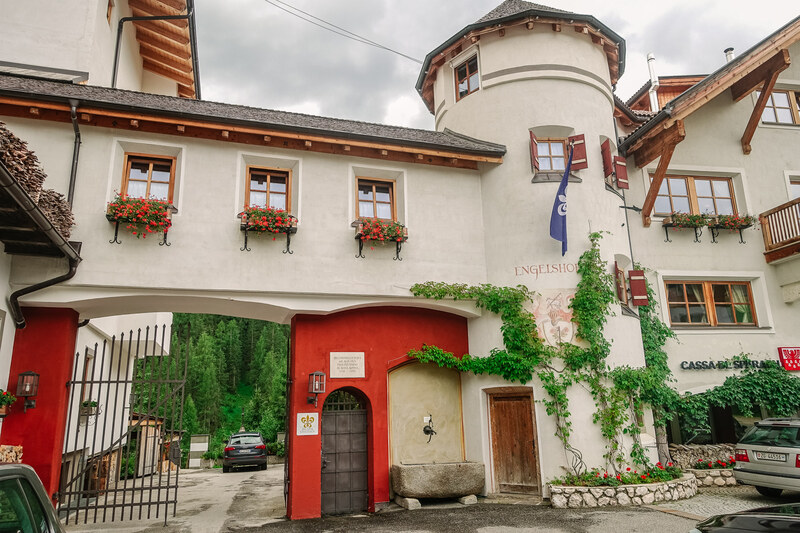 The first time stayed at Rosa Alpina, I went down to the local market and stocked up on water bottles, cheese and sausages, energy bars and nuts. I walked back into the hotel lobby and Hugo was waiting there with a grin. “What’s with the big pack?” “For my hike.” “You don’t need all that,” he chuckled, yanking out all my excess baggage. “You don’t even need to bring water on your hike, you’re in Italy. There are restaurants and water stops all along the way. Even WCs, Just go and enjoy your hike. 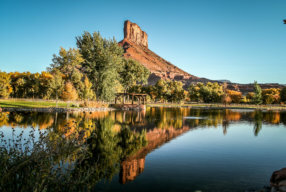 Here’s where you should stop…” pulling out the hiking map and circling his favorites. 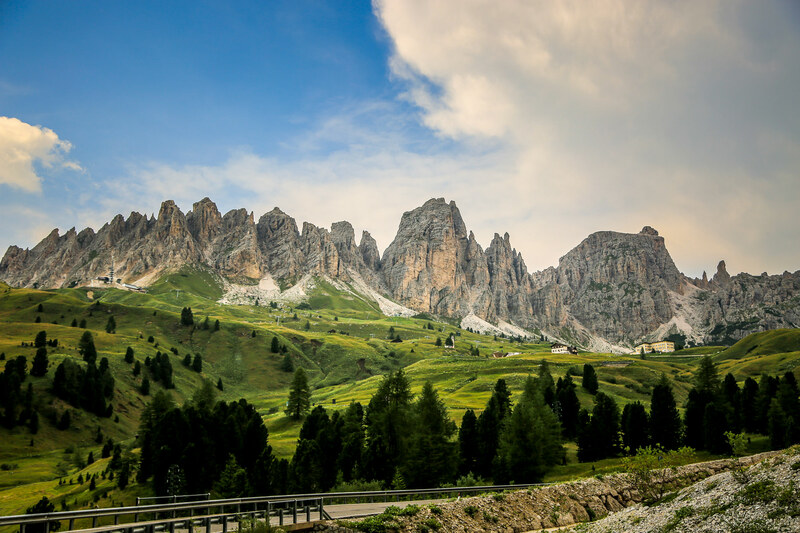 You can see that San Cassiano is perfectly situated to explore the endless trails of Alta Badia, but easy to get over to Val Gardena and Cortina. You pass these beautiful gnarly peaks coming over the Passo Gardena. I remember the first time I came here, it was pouring buckets in Val Gardena and I could hardly see. I popped over the pass and BOOM. These were staring straight at me. Then you duck down into the Colfosco and Corvara valleys. There are dozens and dozens of hikes that lead right out of San Cassiano, like this one to Santa Croce church, high up on a hill. What a crazy contraption. Like an Italian Hillbilly rig. But delicious. I drank like a horse outta this trough. Trails loop around or go from village to village, you pick your energy level and just go. Or just stop and take in the view. 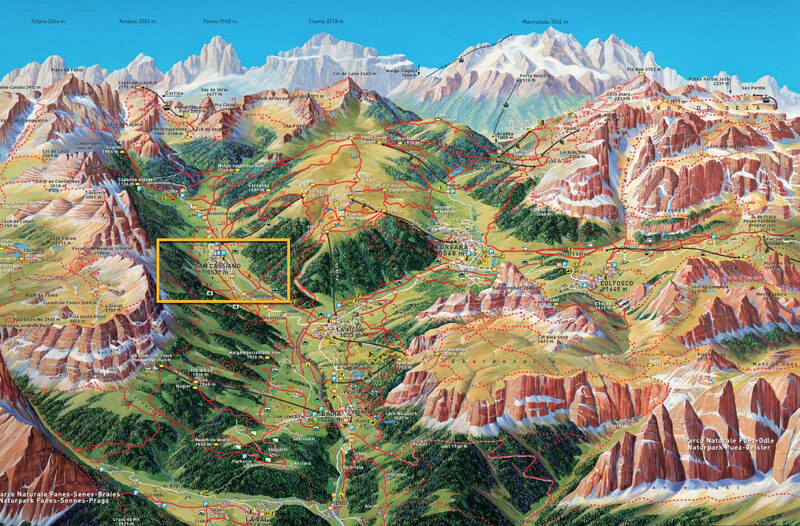 This trail heads right back into San Cassiano…. this was after a nine hour hike. I was wiped. Around the corner is the Passo Falzarego, the WWI front lines were RIGHT HERE. With Austrian soldiers lobbing bombs from the left, down on the Italian troops to the right. See all those beautiful lumps? They are bomb craters from WWI. There are some places still off limits due to unexploded ordinance. Here’s a great recent 36 Hours in Dolomites article from the NY Times mentioning Rosa Alpina. Here’s the TabletHotels listing for Rosa Alpina where it has a 20/20 rating. And a short review in Conde Nast Traveler. Rosa Alpina’s listing in the Michelin Guide. 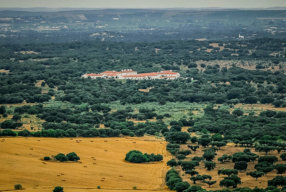 A fantastic review from the great website The Fit Traveller. A ski-oriented post from The Evening Standard. And another 9/10 review in The Telegraph. And in TripAdvisor. The listing on Scott Dunn.